On a budget just go up and come back by normal bus that does the route often each day! Its about 3-4 hours so leave Split about 7..get to the parc about 11...5.6 hours is �... Take advantage of a transfer from Split or Trogir to Zagreb with a tour of the Plitvice Lakes. Meet your tour guide at the meeting point at an agreed-upon time and start your journey with a comfortable drive to the lakes. A full day adventure to Plitvice lakes from Split, the most visited national park in Croatia! In about three and a half hours drive we arrive to Plitvice National Park, the largest, the oldest and most famous national park in Croatia, which was declared as UNESCO world heritage in 1979.... The second option � Bus from Sarajevo to Zagreb, Karlovac or Split and another bus to Plitvice: Bus from Sarajevo to Split, Karlovac or Zagreb � Plitvice; duration 13 to 15 hours, including waiting time between bus rides of about 2,5 hours. Enjoy a day in inland Croatia on a full-day excursion to Plitvice Lakes National Park, where you will visit Croatia's largest national park. After leaving from Split and Trogir the road then takes you through the countryside toward a unique jewel - the Plitvice Lakes. how to get alias name from keystore A full day adventure to Plitvice lakes from Split, the most visited national park in Croatia! In about three and a half hours drive we arrive to Plitvice National Park, the largest, the oldest and most famous national park in Croatia, which was declared as UNESCO world heritage in 1979. Your Travel Starts at Plitvice Lakes National Park, Plitvicka Jezera, Croatia. It Ends at Split, Croatia. Can't get a feel of the tour distance on the small map? 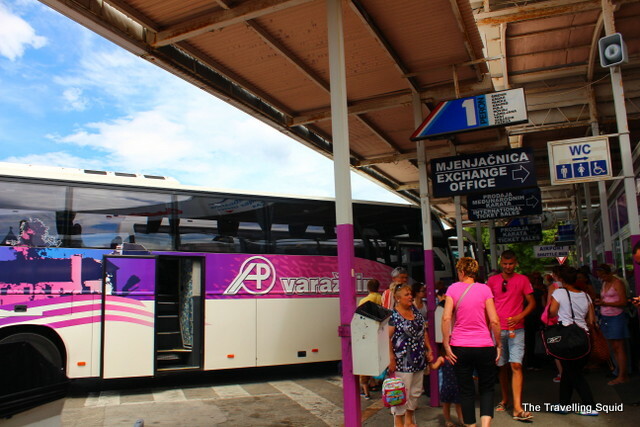 Traveling by bus from Plitvice Lakes to Split. The shortest travel distance between Plitvice Lakes (HR) and Split (HR) is 257 km. The fastest bus which departs at 18:00 has a travel time of 03:30h. 7:30 � 11:30 Departure from Split to Plitvice Lakes National Park. Our journey begins in Split where we will meet at a designated meeting point, where you will board a vehicle and hit the road to the Plitvice Lakes in the Lika region. The lakes themselves are extraordinary but the scenery between Split and Plitvice was just as interesting. Mario's summary of recent Croation history was very informative. The optional meal after we left the National Park was a welcome opportunity to tide us over until we reached Split . Its a long day but well worth the effort. Highly recommended.